These intimate Cape Town holiday apartments provide an ultra-romantic setting for two. 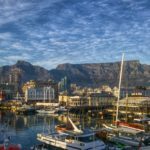 Find out what makes Cape Town a favourite honeymoon and anniversary destination for local and international couples here. Are you looking to treat your better half to the most indulgent romantic couple’s getaway? You’ll find a wide selection of apartments for two in the Mother City. These range from cosy love-nests to extravagant penthouse playgrounds. 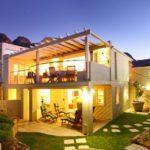 These 3 Cape Town holiday apartments for couples are fully self-catering. That means you can treat each other to breakfast in bed, or dinner with a view of the ocean. Each one is well-equipped, and designed with your comfort in mind. CNN Travel has ranked Cape Town among the most romantic cities on the planet, alongside Paris, Venice and Rome. This makes it a dream destination for weddings and intimate couple’s holidays. Along the Atlantic Seaboard, you’ll find premium locations for an amorous couple’s vacation. This affluent area is affectionately known as “Cape Town’s Riviera”. The two of you will feel like stars throughout your stay, as you take in the effortless luxury of your surrounds. 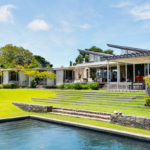 Clifton and Camps Bay offer the perfect answer for those wondering “Where can I find romantic Cape Town holiday apartments for couples?” Love and luxury go hand in hand when you’re renting one of these glamorous hideaways. Soline Roof Top is one of our favourite Cape Town holiday apartments for couples. 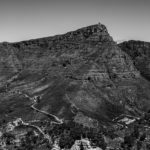 It’s situated in the upmarket Camps Bay area, with 360° ocean and mountain views spread out below, and what could be more romantic than the 12 Apostles? Soline is a minimalist self-catering apartment for two, with a plush king size bed and ample storage space. The large rooftop balcony is a great place to enjoy some special moments side by side. 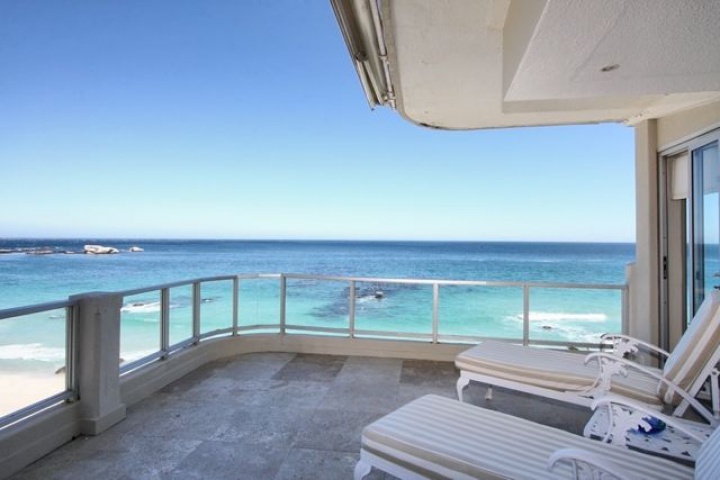 The apartment is within walking distance of Camps Bay’s beach and trendy promenade. Here you can take a romantic ocean-side walk, or enjoy a candle-lit dinner date that runs into the early hours. The Bungalow on the Camps Bay strip has been listed among “the most romantic restaurants in Cape Town” by local lifestyle guides. With an indulgent menu and sultry beach views, it’s a magical match for romance at dinner time. The bustling main street is home to a strong selection of deluxe dining venues, as well as playful ice cream parlours like Gelato Mania, should you want a sweet treat for dessert. With so many opportunities for the two of you to connect and enjoy each other’s company, it’s little wonder Cape Town holiday apartments in the Camps Bay area attract so many couples. 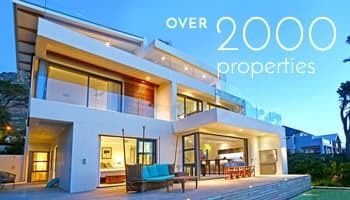 Because Clifton is such a popular part of Cape Town, holiday apartments for couples are in demand year round. 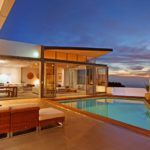 Clifton Paradise 2 is no exception, and a closer look will reveal what makes it such a prominent couple’s retreat. Built in a more established building than its modern neighbours, this Clifton apartment is one of the most spacious one bedroom holiday homes around. It features a luxuriously roomy double bedroom with an open-plan en-suite bathroom. The setting is perfect for honeymoon romance! Clifton Paradise 2 boasts the most stunning views of all 4 Clifton beaches. With direct beach access from the apartment building, you can enjoy a stroll on the sand whenever the mood strikes you. Heron 11 is a 2 bedroom apartment that gives you direct access to Clifton’s 2nd beach. Clifton is one of the most desirable locales in Cape Town – holiday apartments this close to the area’s 4 beaches are considered exclusive! Both bedrooms have their own bathroom, and offer fantastic sea views. The self-catering kitchen features a trendy breakfast bar. Situated in a secure complex, Heron 11 provides privacy and safety for Clifton holidaymakers. There’s also access to a communal braai area and swimming pool, if you feel like leaving your cosy romantic hideaway. Many local photographers favour the white sands and sunshine of Clifton’s beaches, making them a popular spot for couple’s photoshoots and sophisticated beach engagement shoots. These beaches have also seen their fair share of wedding ceremonies – so you may be lucky enough to catch a glimpse of bridal inspiration from one of the local Cape Town holiday apartments. Cape Town is one of the world’s most desirable destinations for couples of all ages. The apartments listed here are just a small glimpse into what you and your partner can expect when you escape to this gorgeous city. And when we say escape, we mean it! You’ll never want to go home. Have you fallen in love with any of these Cape Town holiday apartments? Share your ideas for the most romantic getaways in the Mother City! Or browse our selection of luxury apartments and plan your ideal getaway in secret.